Enormous balcony with views of the most beautiful beaches in the world. Enormous balcony with views of the most beautiful beaches in the world. Master Suite with King size bed offers a large bathroom ,with a garden tub and separate shower, and a separate double shower,second bedroom has King size bed with bathroom, and third bedroom offers two Queen size bed with a third full bathroom.This 1744 square foot spacious unit showcases the Gulf of Mexico at its best, with a wet bar to concoct tropical drinks and enjoy sunsets in the ravishing balcony. This unit has a sofa sleeper! 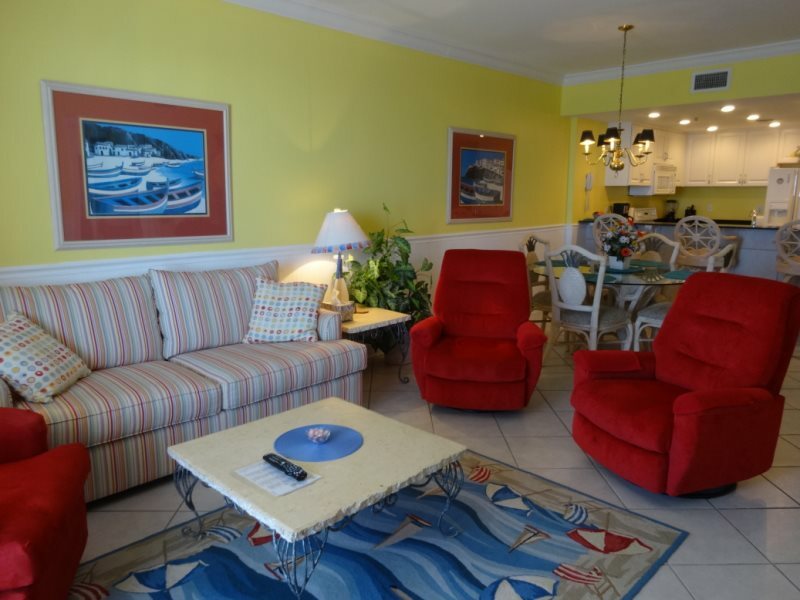 This condo comes with two FREE beach chairs with an umbrella from March 1 - October 1.